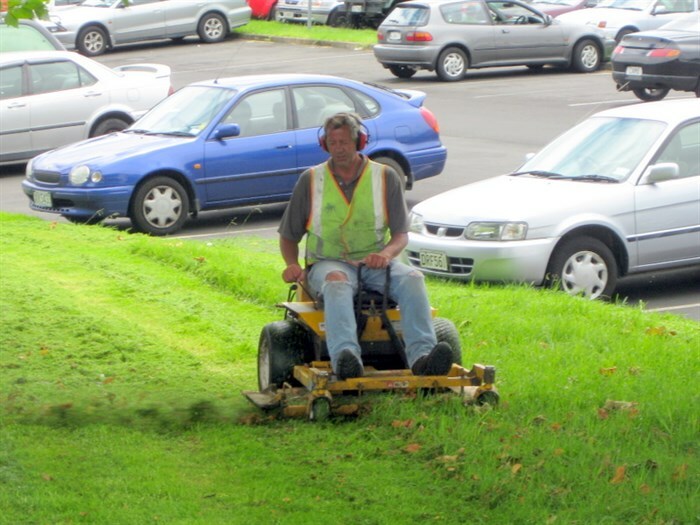 We offer a wide range of grounds maintenance services that can be customised to your requirements. Our services include everything from a one-off cleaning up job, right through to dedicated, continuous maintenance. We all know how first impressions count and imagine what your customers and potential cients think if they arrive at your premises and see something like this. When you have a landscaped, tidy, inviting entrance to your workplace, it can make all the difference to your customers. When you let us take care of the maintenance of your grounds, it won’t be the grounds that let you down. We offer a wide range of services, suitable for small businesses, right up to multinational franchises. Our property maintenance services ensures your gardens and grounds are looking fantastic all year round, and we can also attend to any unexpected problems on site that arise. Lawns – from simple grass cutting, through to weed control and fertilising. Hedges and trees – stop hedges and trees from growing out of control with timely trimming and pruning. Cleaning – outdoor structures and paths can be cleaned or restored. 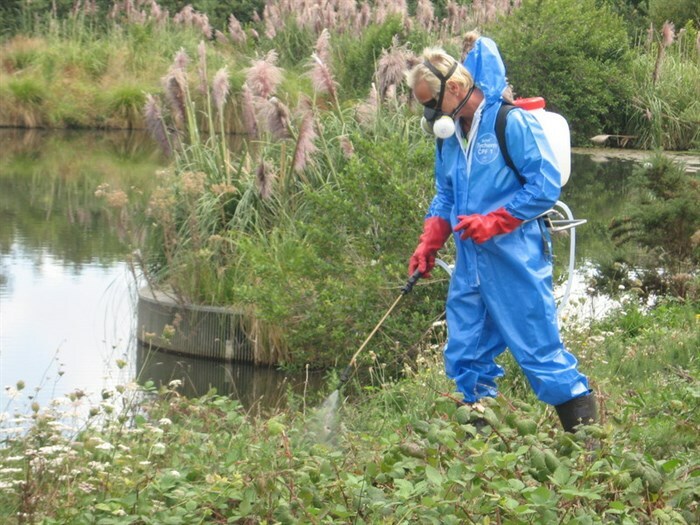 Disease Control – combat destructive infestations with the latest environmentally friendly pesticides. We also offer clean up services for commercial sites, regardless of size. 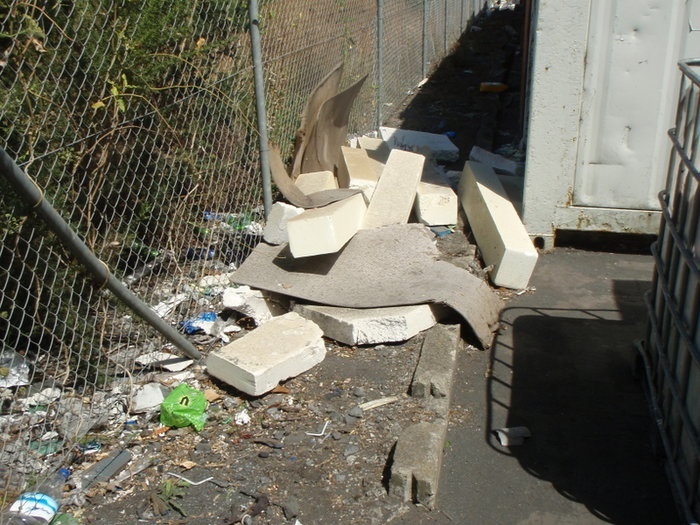 If you need rubbish removed and disposed of, we’re a simple call away. Our team can transform your site from a rubbish tip to a beautiful garden, and keep it that way with our regular maintenance service. We think that recycling is important, and we do our bit to help by reducing waste and maximising recycling whenever we can. By turning your garden waste into compost and mulch, we can then reuse it to nurture your garden and tree areas, helping them grow and helping the environment. 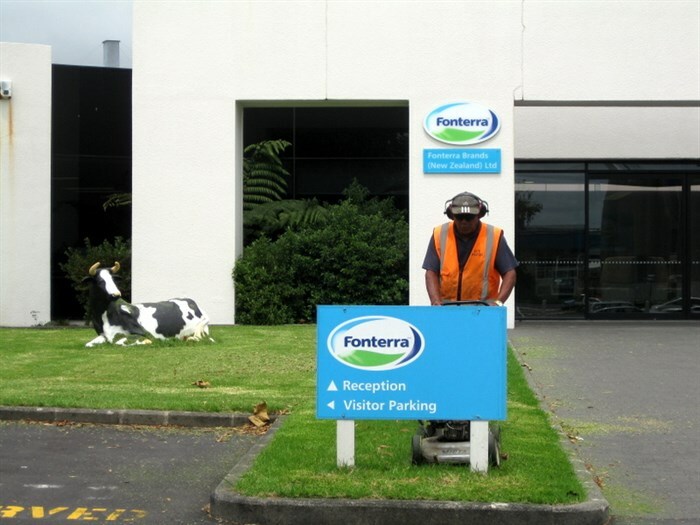 We look after the grounds of huge companies like Fonterra and Tegel, and we also provide an equally attentive service to smaller sites. After all work is completed, we undertake regular audits to ensure quality is preserved throughout the life of our grounds maintenance contract with you. We provide a wide variety of services and cover all aspects of grounds care to meet the individual needs of our clients. From concepts in landscaping, right through to construction and on-going maintenance. We can also give advice and recommend the types of plants suitable for your specific environment, and will suggest a wide selection for you to choose from. We also build pergolas, retaining walls and outdoor spaces to suit your requirements. Our gardening division has been operating for almost 10 years under the watchful and experienced eye of Mark Pickstone. Mark has more than 30 years’ experience in landscape gardening, having worked with the southern hemisphere’s largest landscape design company for over a decade. He is highly skilled and very competent in all aspects of design, construction, plant selection and maintenance of grounds and gardens. With three decades in the industry, Mark’s advice on garden care will include everything, from use of soils, mulches and fertilizers, to irrigation systems and much more. With Mark at the helm, Unique Services are able to provide the experience and dedication that ensures quality service. We specialise in large ground maintenance contracts, using the latest horticultural techniques and equipment, which means you get the highest standards of care and workmanship. With our experienced team, we are able to offer a reliable, friendly and sustainable service for all our customers, large and small. From garden design and plant recommendations, through to full maintenance programmes, Unique Services are the grounds and property maintenance experts you can rely on. If you would like to know more about our grounds maintenance services, call us today on 09 262 1696, or contact us here. Our friendly staff will be happy to help in any way they can.